The potential to reduce emissions from agriculture and increase the amount of carbon captured in soils is currently being examined by researchers in a number of countries. 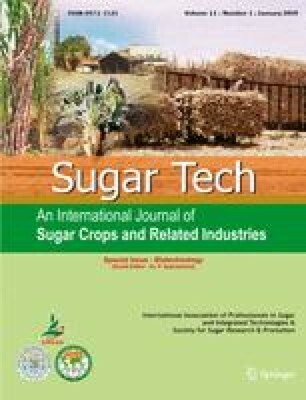 This paper describes a process of carbon capture and long-term storage using silica phytoliths and, provides the results of a study of this process on newly planted and ratooned sugarcane varieties. Our results indicate that a) there was significant variation in the phytolith occluded carbon (PhytOC) content of different varieties, b) this did not appear to be directly related to the quantity of silica in the plant but rather the efficiency of carbon encapsulation by individual varieties and c) it was possible to accurately quantify this carbon fraction prior to its incorporation into soil. The carbon content of the varieties tested under the particular suite of environmental conditions for which they were grown ranged from 0.12 te-CO2 ha-y−1 to 0.36 te-CO2 ha-y−1. This PhytOC process provides an approach which reduces emissions from agriculture for the long-term (millennia), as opposed to many other soil organic carbon fractions that may decompose over a much shorter time. Moreover, the ability to quantify PhytOC prior to its incorporation into the soil will provide a distinct practical advantage for the quantification of this carbon form over other soil carbon fractions in emerging emissions trading and offset markets.